Reaching young adults called for a campaign that was intensely focused on social media. 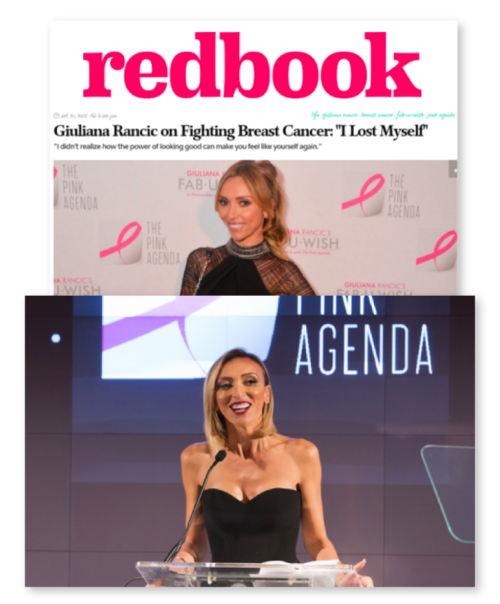 With FAB-U-WISH, led by TV personality Giuliana Rancic as a partner, we capitalized on her social media following and influence to help propel the 12-week campaign forward. A complementary PR/media relations campaign was deployed to increase overall brand visibility for the organization. Deployed targeted pitches to mom bloggers educating them about the organization and the importance of early detection. Leveraged partnership with FAB-U-WISH to develop compelling survivor stories for social media to both empower and lend support to those impacted by breast cancer. Increased organic social media audiences through the strategic posting of original and sharing of partner and third-party content. Secured a 22% increase in organic Twitter followers, 19% increase in organic Facebook likes and 22% increase in organic Instagram followers. Increased engagement across all platforms, including a 2175% increase in Twitter engagement. Generated more than 525 print, broadcast and online media placements, reaching an audience of 1.2 million. Secured more than 4 million Twitter impressions through outreach to key influencers (e.g. Giuliana Rancic) and leading mommy bloggers.